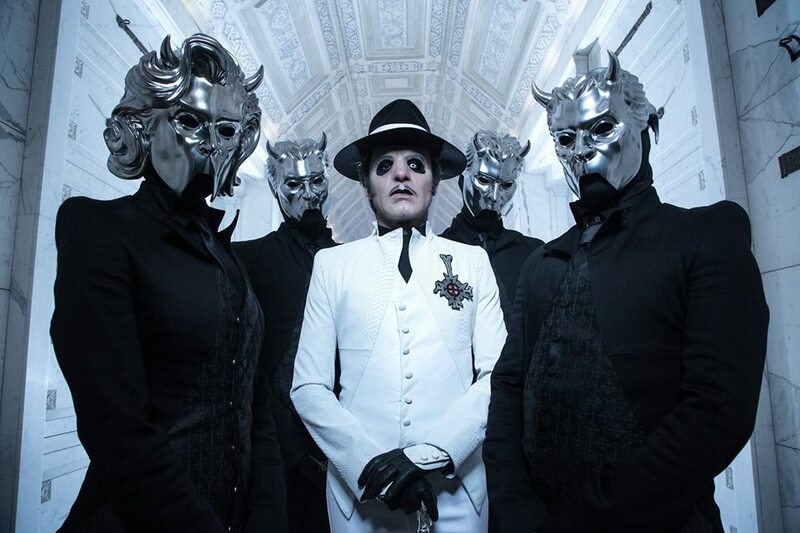 The trek, which will see the debut of new singer Cardinal Copia, will also pay tribute to their series of former frontman: Papa Emeritis, Papa Emeritus II and Papa Emeritus III. “We wish to inform you that the Papas have been re-instated,” explains the group, who will display the bodies of their late singers during VIP meet and greets throughout the world tour, which begins in Riverside, CA on May 5. Cardinal Copia officially replaces outgoing singer Papa Emeritus III in the lineup following his work on the band’s third album, 2015's "Meliora", and 2016’s "Popestar" EP. Not a part of the Papa Emeritus bloodline, the Cardinal – who has heterochromia iridum, a condition where the iris of one eye is a different color than the iris of the other eye – made his live debut with Ghost at a private, acoustic performance in Chicago, IL on April 6. Due June 1, “Prequelle” was recorded at Artery Studios in Stockholm, Sweden with producer Tom Dalgety (Royal Blood, Opeth).